OK, lets talk dresses! Spring is around the corner, and I've been itching to make my daughter some dresses. Today's tutorial is picture heavy because I wanted to really break down the drafting and assembly of the dress, but stick with me. 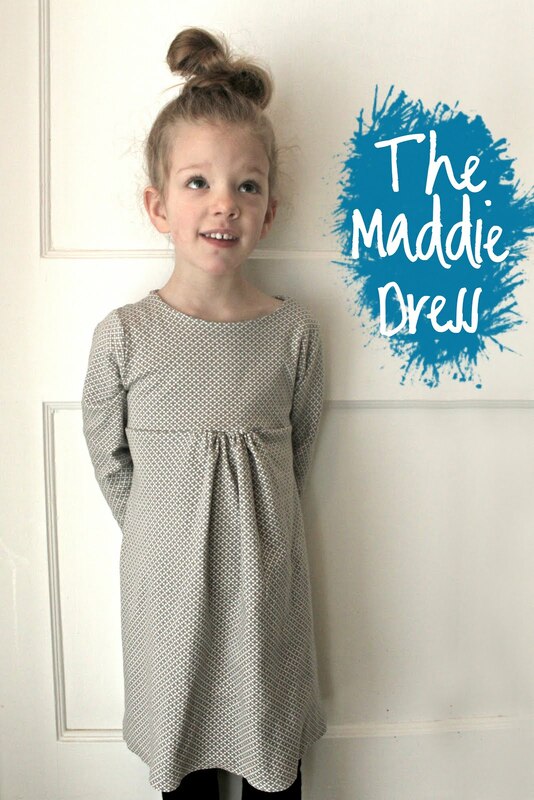 Sewing a basic dress isn't as hard as it looks, and you'll be so proud seeing your daughter running around in a dress you made for her! I remember the very first dress I made for Haley (wow, she was so little! ), and it really stretched me and made me feel so accomplished when I was done. Now, as Haley's grown older, she is SO happy when I sew something for her - she calls the dresses I make her her "princess dresses." As you can see, she's more than happy to give you some diva poses. This dress is a comfy knit dress with long sleeves, perfect for the remaining cold days and early spring. You could always shorten the sleeves, but I made mine long and plan on cutting them shorter as the weather gets warmer. 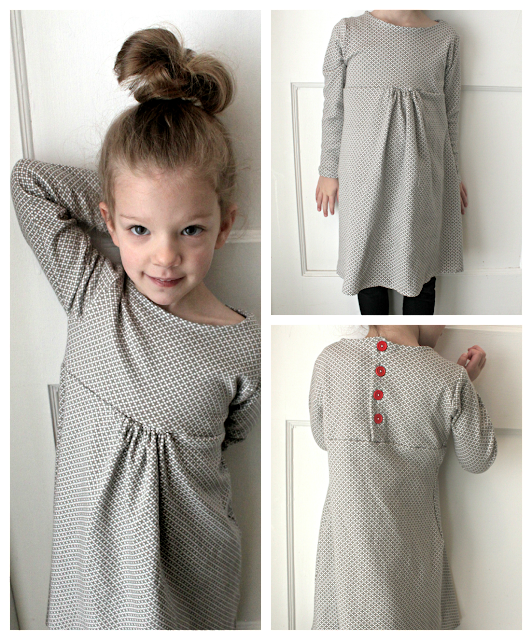 I made this dress with knit so it would be comfortable for my super active girl. If you've been avoiding knits, don't! They're comfortable, you don't have to finish the edges if you don't want to, and you can find lots of fun patterns at your local store or online at great shops like Southern Fabric, The Fabric Fairy, or Banberry Place. SUPPLIES: a ballpoint needle is suggested for this project, but a universal needle will work fine (just beware that you may get holes in your fabric if you don't use a ballpoint needle,) long sleeve shirt to use as a template, paper, knit fabric -depends on your child's size, but I used about 1 1/2 yards for my daughter who is a 4T, buttons, disappearing ink marker, scissors, sewing machine and basic supplies. 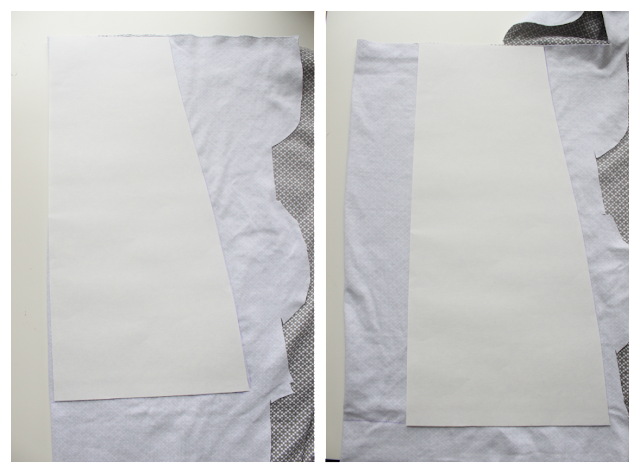 ONE: using an existing shirt, Fold the shirt in half and place on the edge of a piece of paper. 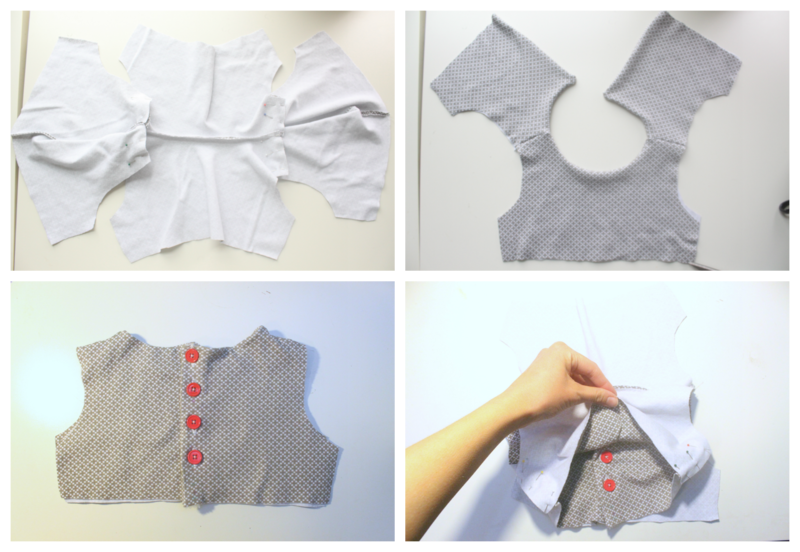 Trace around the top part of your shirt to create a bodice. Make sure to add 1/2 inch seam allowance and stop tracing about 1 1/2 inches below the armhole. TWO: for the bottom of your dress, measure your child 1 1/2-2 inches below the armpit to her knees. Add 1 1/2 inches to this measurement. This is how long you want the bottom of your dress to be. Draft your bottom piece by making it as wide as the bottom of the bodice you just drafted and as long as the measurement you just noted. I made mine a simple A-line. This will be for the back of your dress. 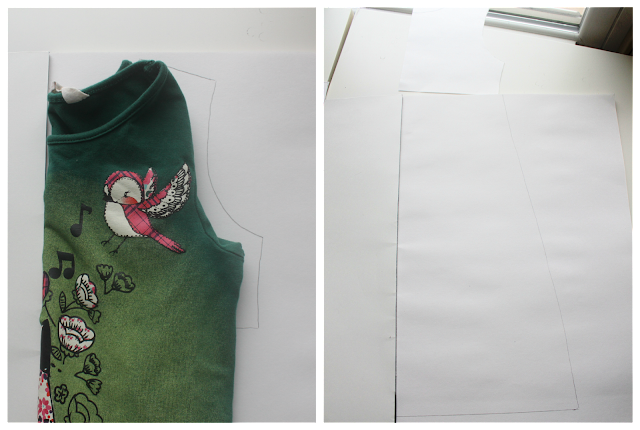 ONE: notice that I've drawn a second neckline on my bodice piece. The lower one is for the front of the dress since you want the neckline to be lower. Since we're cutting out the back pieces, you can trace your pattern just as it is for now. Fold your fabric in half right sides together (and make sure the knit stretches sideways when you pull it) and place your bodice pattern on top, not on the fold. Add an inch for the button placket as shown in the picture above, then trace around with a disappearing ink marker and cut out. We are lining the bodice of this dress, so you want to repeat once more for a total of 4 back pieces. 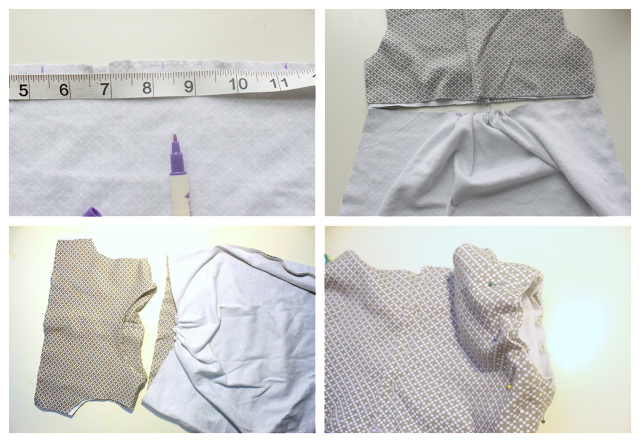 TWO: to make your front pieces fold your fabric in half as before and place your bodice pattern on the fold this time. Trace around with a disappearing ink marker and cut out. Repeat for a total of 2 front pieces. THREE: Now you should have 4 back bodice pieces and two front bodice pieces. FOUR: for the back piece of the bottom of your dress, place your pattern on the fold and trace and cut one piece. FIVE: for the front bottom of your dress, fold your fabric in half and place your fabric 3 inches from the fold as shown in the picture above (this is for our gathers.) Trace and cut one on the fold. SIX: (not shown) sorry I didn't take a better picture of this, but create sleeves using your template shirt as a guide. Again, make sure the knit stretches sideways across the sleeves. Add 3/4 inch to the end for the cuffs. Hem the cuffs by folding up 1/4 inch, then folding another 1/4 inch and sewing. ONE: take your 4 back bodice pieces and match the two sets up, right sides together. Sew along the neckline only. 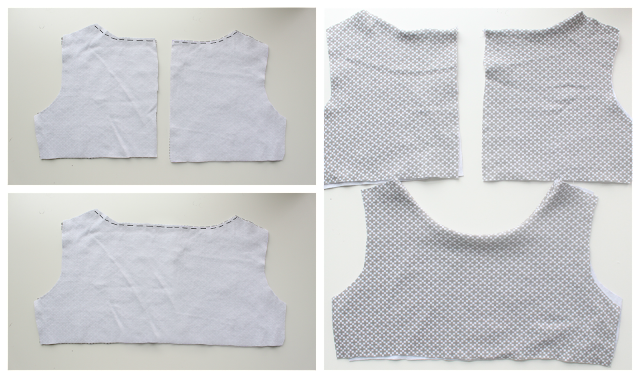 TWO: match up your two front pieces right sides together and sew along the neckline. THREE: turn right side out and press. FOUR: This may look a little weird, but you're basically trying to match up and sew your shoulder seams together so everything looks good. Do this by unfolding and laying your front piece out with the right side down. Do the same with your 2 back pieces and line up the shoulders as shown above. Join the shoulders together with a straight stitch. SIX: make button holes 1 inch from the edge of your right back bodice piece. Attach buttons on the left back bodice piece. SEVEN: Turn your bodice inside out and sew the sides together (match up the sides of both lining pieces and sew right sides together, and repeat with the sides of the main fabric.) Turn right side out. 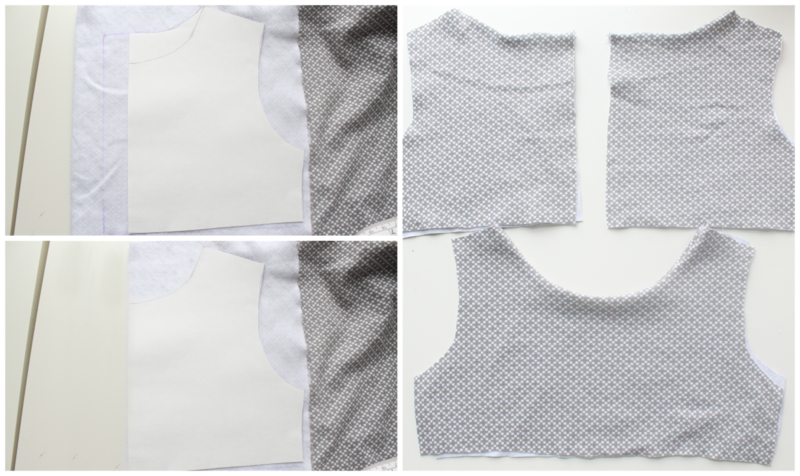 Sew a basting stitch around the bottom of your bodice to keep the main and lining fabrics together. EIGHT: take the front bottom panel of your dress and find the middle. Measure over 4 1/4 inches on either side and mark with your disappearing ink marker. This is where you will be making your gathers. NINE: change the length and width of your stitch to the highest number, and sew a straight line between the two marks you just made. Pull the tail of your string to gather until the top of your panel is the same size as your bodice. Place the front and back panels right sides together and sew at the sides to join. TEN: with the bottom of your dress inside out and your bodice right side out, insert your bodice into the bottom of the dress, making sure to match up the front of the bodice with the gathered bottom piece. Pin and sew to join the top and bottom pieces with a 1/2 inch seam allowance. ELEVEN: unfortunately, I didn't add my sleeves earlier so this is how I did mine. With your dress inside out and your sleeves right side out, insert your sleeves in each armhole and pin all around Sew to attach. Finally hem up the bottom of your dress by folding up 1/4 inch, pressing, and folding another 1/4 inch and sewing. So cute, right? It's such a comfortable, fun little dress. Throw a pair of leggings and boots underneath for winter and you have a cute new outfit. I love this pattern so much that I made several other versions of it, so get ready to be bombarded! And in case you're wondering, I got the knit at my local Joann Fabrics. I fell in love with it the minute I saw it! Enjoy! 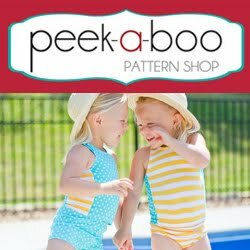 I'd love to see pictures if you make a dress for your little one (email us at eatsleepmake(at)gmail(dot)com)! I love the red buttons! Seriously cute! Again, I need a girl! How cute!! I'd wear this myself :). The buttons are an adorable touch. This is too cute! I love the red buttons! What a sweet, simple dress. I love the fabric and buttons, too. This dress is adorable! Great work! 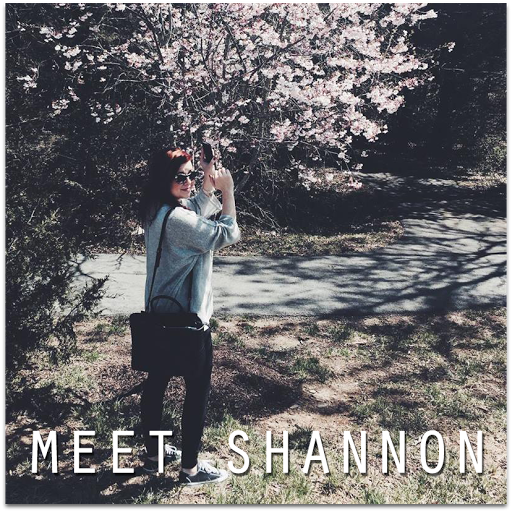 I am hosting a giveaway at my blog. Feel free to check it out and enter.